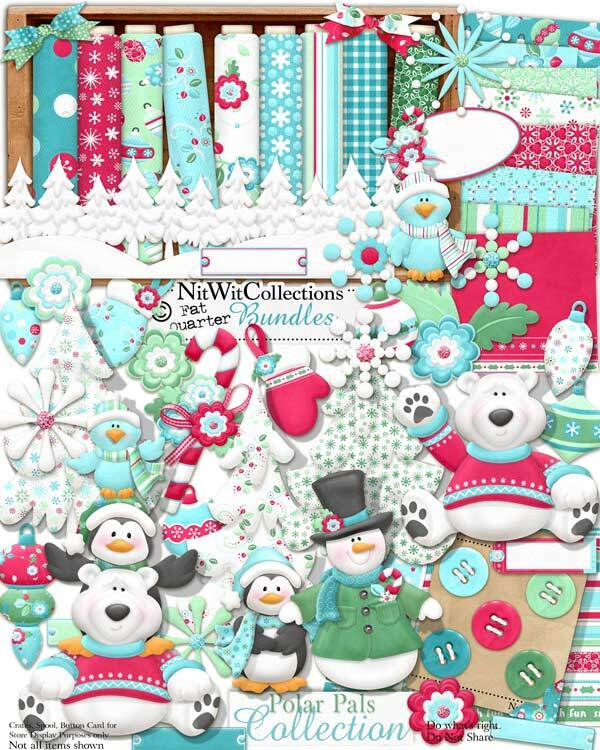 "Polar Pals" Collection is a Christmas Collection for the rest of those who live at the North and South Poles. A warmly coloured kit that includes all of their Christmas needs, as well as the characters who inhabit these Poles, in case you've never made the trek to the North or South Pole. See, now you can cross this off your life's bucket list of "Exploring the Poles", and at Christmas time no less!! 1 Border of snow covered trees - and I mean snow-covered! 4 Photo corners - cause there are no more than 4 corners on a photo! 1 Polar Pals - the collection of them all! 1 Snowman - decked out and ready for Christmas dinner or maybe some caroling - who'll know if he sings off key?